Yet another battle in the war for the future of the media. Comcast is considering a major bid for parts of 21st Century Fox, setting up a battle with Disney, which is also trying to acquire the assets. This time, however, Comcast is bringing cash to the table. 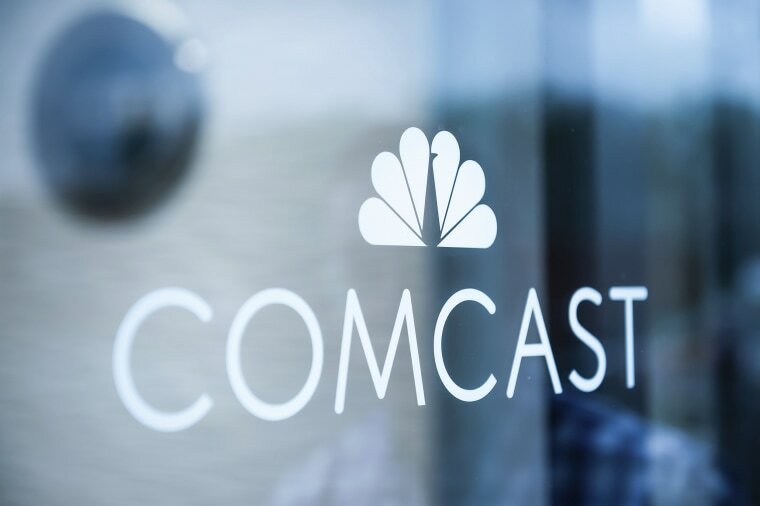 Reuters first reported Comcast’s plan, which was confirmed to NBC News by two sources close to the talks who requested anonymity because they were not authorized to speak publicly. Comcast declined to comment. Comcast is the owner of NBCUniversal. Comcast will attempt to outbid Disney’s initial offer of $52 billion for the assets including Fox’s movie studio and international channels. Comcast is also in the midst of a bid for European satellite TV company Sky, offering $31 billion to gain control of the company, which Fox has also been trying to buy. Reuters reported that the likely bid is all cash and that Comcast had already begun discussions to line up financing from banks — asking for another $60 billion to finance the bid. A bid from Comcast would be the latest twist in what has become a high-stakes battle between some of the world’s largest media companies. Comcast had reportedly approached Fox about a similar deal in the fall but was turned down by the Murdoch family, which controls Fox, because they prefered Disney stock to Comcast stock and also viewed a tie with Comcast as more likely to be blocked by regulators. Whether Comcast will officially make the offer depends in part on the outcome of the Justice Department’s bid to block AT&T’s $85 billion acquisition of Time Warner. The Justice Department has argued that the two companies will have too much market power and will raise prices on consumers. AT&T has argued that it needs Time Warner to avoid being toppled by the giants of Silicon Valley. The case is currently in front of Judge Richard Leon, whose decision will have an outsized impact on the regulatory environment for large mergers and acquisitions beyond the media industry, including that of Sprint and T-Mobile, which are also planning to merge. The judge has said he will have a decision by June 12.Rich Greenfield, an analyst covering telecoms and media for BTIG Research, said that Comcast’s move to offer cash instead of stock could swing the deal in its favor. “Rupert [Murdoch] is a business man and is looking at the headwinds facing the media,” Greenfield said. “If Comcast can pay enough to remove the tax burden, I don’t know why someone wouldn’t want the cash.”Both Disney and 21st Century Fox report earnings this week. Comcast had made a play for Disney back in 2004, but the bid was rejected.